Promoting peace throughout the world is one of the main objectives of Rotary International. Each club is tasked with sharing the promotion of peace within their communities they serve. Auberry Intermountain Rotary created a Peace Pole for a Peace Garden at the Intermountain Nursery in Auberry, California. The Peace Garden provides a restful atmosphere in a serene setting. At the center of the peace garden is a pole inscribed in four languages with the message "May Peace Prevail On Earth". 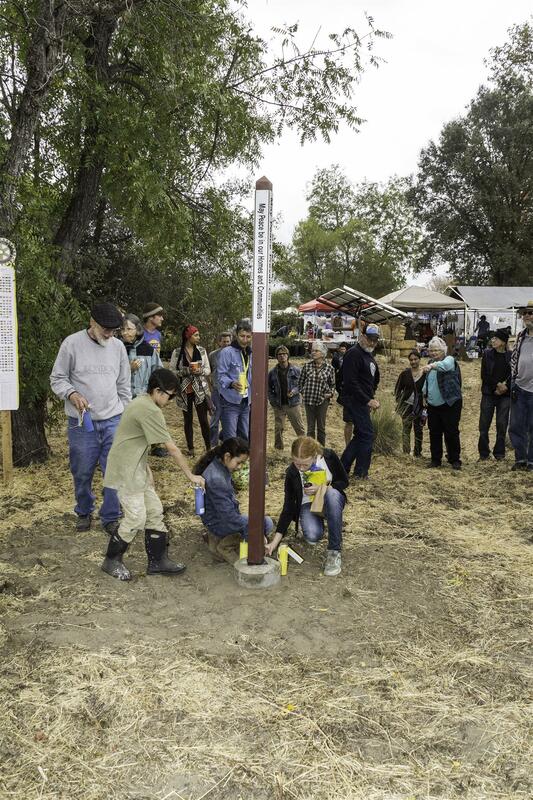 The Peace Pole was planted at the annual Harvest Festival in Auberry.